A blend of onions, garlic, ginger and chilli. Onion (80%), Garlic, Ginger, Red Chilli. 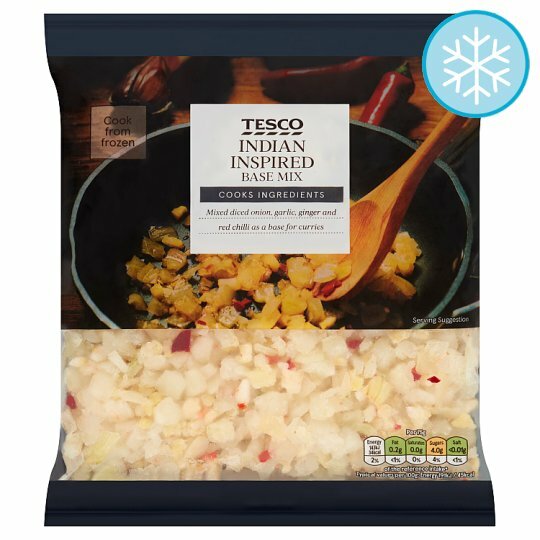 Simply add from frozen to your main cooked meal ingredients.